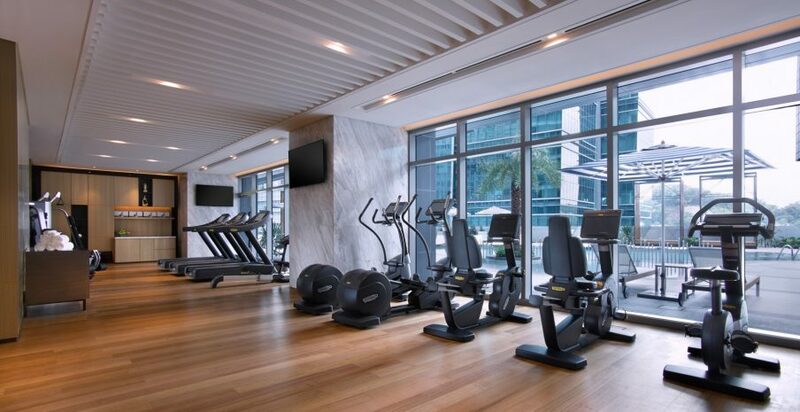 Set on the third level overlooking outstanding views of the pool and gardens at Sofitel Kuala Lumpur Damansara, SoFIT takes care of all your fitness needs. Work out whenever you feel like it. Open 24 hours a day, the SoFIT gym is equipped with state-of-the-art Technogym fitness machines, so you can get into a morning routine with one of our instructors or run off those extra calories before bed. Or why not unwind by the pool after your workout and order something from the poolside menu?